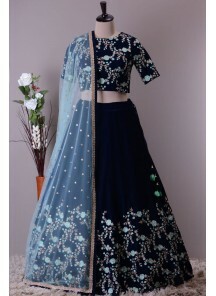 Two Tone Velvet Zari Gree..
Navy Blue Raw Silk Leheng..
Lehenga or lehnga also knwon as Ghagra. 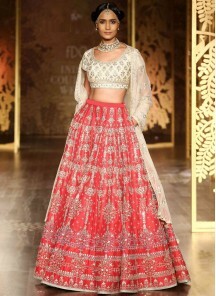 It is a form of Indian subcontinent skirt which is long, embroidered and pleated. 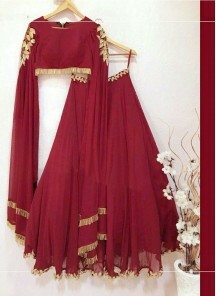 It is worn as the bottom portion of a Ghagra choli. Various type of traditional embroidery work done on it in India and Pakistan. 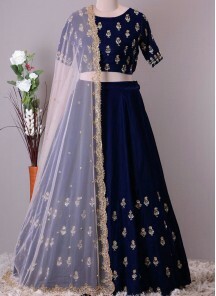 Various type of Lehnga choli available in market. 1. 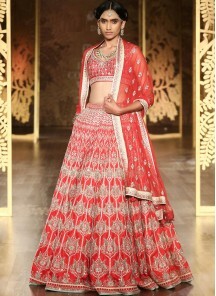 Bridal Lehenga Choli: These type of lehengas are specialy designed for bride to wear on her wedding. 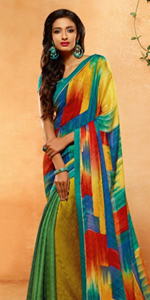 It having heavily embroidered and special design. 2. 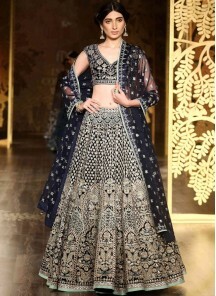 Wedding Lehenga Choli: Every girl and women need to look beautiful and gorgeous in their family wedding functions. 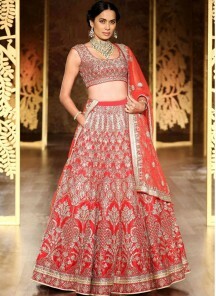 For this wedding lehenga are made in such way to give beautiful traditional look. 3. 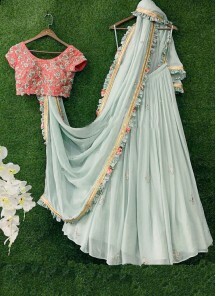 Partywear Lehenga Choli: Usually these type lehengas are fusion of little traditonal and western look, to give a modern look into it. So women can wear them for parties and events. 4. 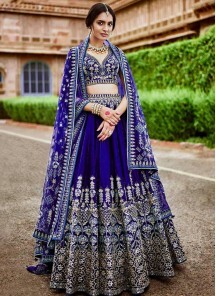 Designer Lehenga Choli: We can see these type of lehenga choli specially in Bollywood films and events or bollywood celebrity weddings. 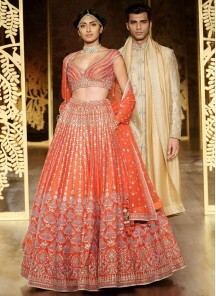 Also in Indian big fat weddings these type of lehenga are specially designed by designer. 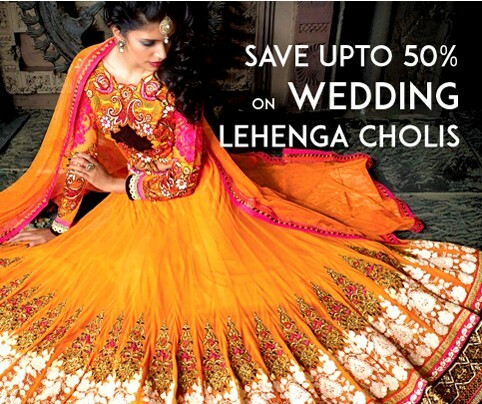 At LadyBaazar you can buy lehenga choli online. 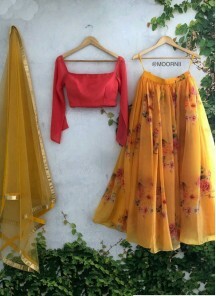 Don't need to go any boutique find from lots of products whereas this is very easy option and time saving. 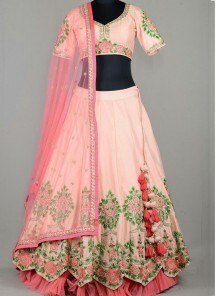 We have latest collection of Indian wedding lehengas online. 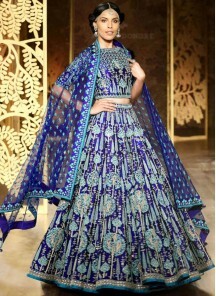 We have also listed Bollywood lehenga choli. 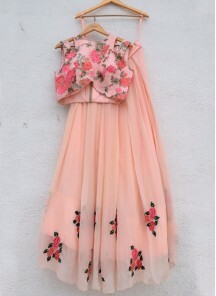 LadyBaazar is leading online store which provides best quality products with customized stitching and on time delivery. We deliver worldwide at affordable shipping cost. We also offers free shipping orders above $400.